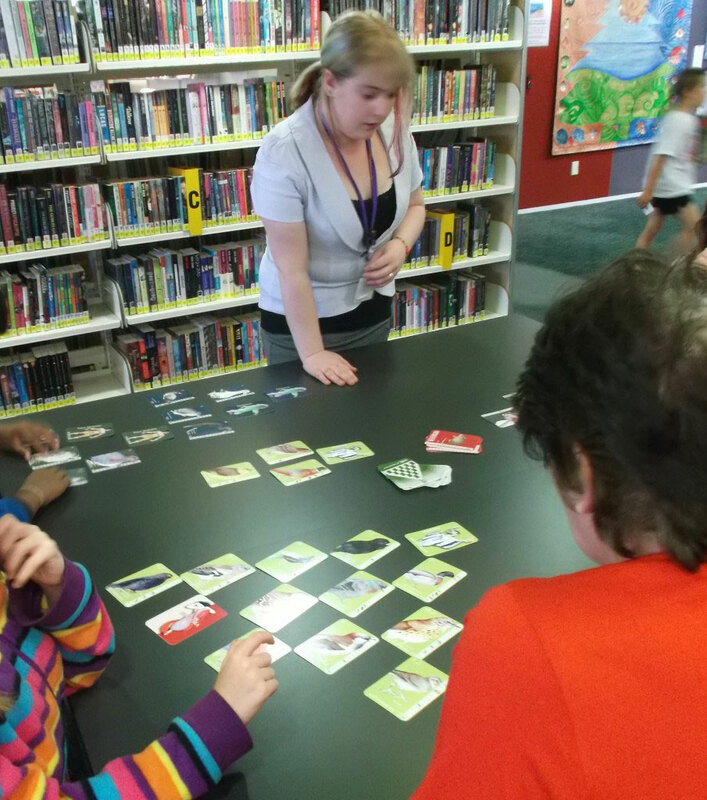 SO yesterday I spent a pleasant hour at the Upper Hutt Library. Students there played Cloak of Protection as part of their Summer Reading Challenge. This was my first session in a library & it was a treat! We had a great corner to play, with plenty of right-sized tables. Librarians were on hand. Kate, the Children’s Programmes Co-ordinator, kindly organised the visit, and was an amazing hostess. Sophie (pictured) carefully watched over a group. Whoops soon filled the library, as the kids got their cloaks underway. These sounds were a joy & a delight to librarians’ ears!!! how nice, our Kura have registered to become part of the game of protection week. I was just wondering if the Upper Hutt Library is continuing to display or run these games before the actual game week begins. i would be really interested in going to the library to see it in action before we start? Game Week is looking really exciting. I’m really glad that you’ll be a part of it. The plan is that Michelle is coming to play the game with you soon. 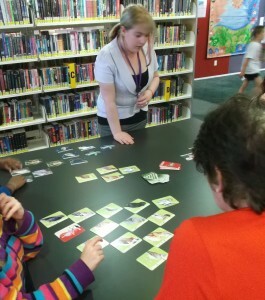 But yes, the Upper Hutt library does have a game & I’ve asked them to run a session during the week.